A cam and groove coupling, also called a "camlock" fitting, is a form of hose coupling popular because it is a simple and reliable means of connecting and disconnecting quickly and without tools. The cams at the end of each lever on the female end align with a circumferential groove on the male end. When the levers are rotated to the locked position, they pull the male end into the female socket, creating a tight seal up against a gasket. The arms lock into position using an over-center arrangement, preventing accidental decoupling. Because the groove is cut all the way around the male end, there is no specific alignment necessary to couple as there would be with threaded connectors, and there is no opportunity for cross-threading. This results in an error-resistant, faster coupling operation. Because the compression between the two fittings is limited by the size of the cams on the end of the levers and the rotation of the levers themselves, there is also no possibility of over- or under-tightening the fitting; the pressure against the sealing gasket is effectively constant from one coupling operation to the next, reducing possibility of leaks. 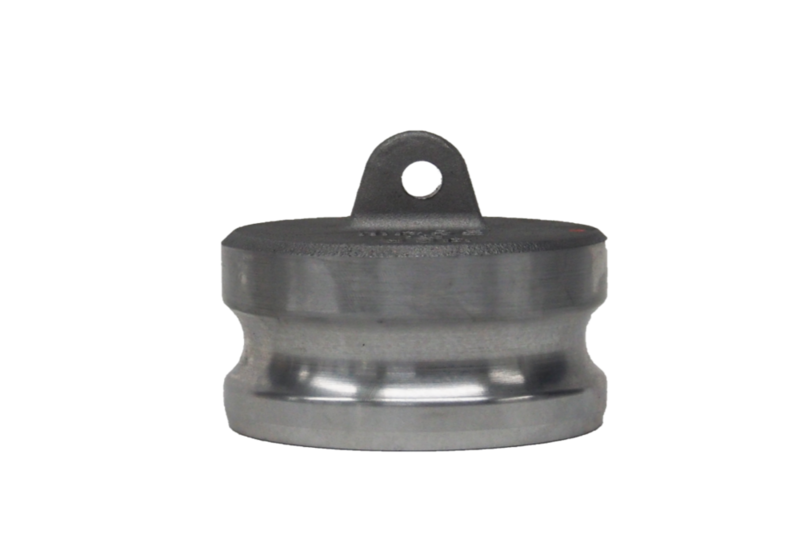 Because there are no threads to become fouled, cam and groove couplings are popular in moderately dirty environments, such as septic tank pump trucks and chemical / fuel tanker trucks. A cam and groove fitting can be used in a system where rapid filling of chemical drums takes place. It can be used by factories that have needs of dye, paint and ink medium transfers. It is used where frequent changes of hoses are required to find the right mix. It is also suitable for petroleum trucks, etc. Note: Cam and groove couplings are not recommended for any type of compressed gas service, including steam.